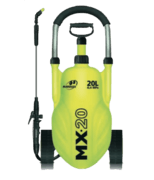 The Marolex Trolley sprayer comes in a huge 20 litter capacity. Its high pressure pump up trolley means less pumping and more spraying preventing operator fatigued. 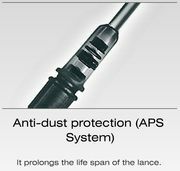 The 135cm extendable lance ensures you won't come in contact with any chemicals while having a greater reach. While also being able to control the stream angle with the adjustable nozzle. 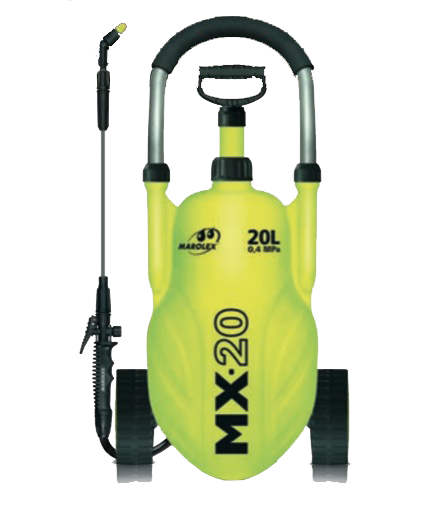 With a filter in the handle the life span of these sprayers is extended with the nozzle protected from blockages. The large tank means that the operator can get more spraying done in between refills. 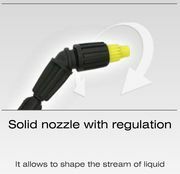 Twisting the nozzle allows you to change the shape of the liquid being sprayed to cover more ground or be really direct. 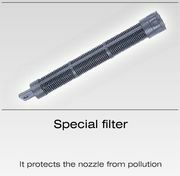 Filters throughout the sprayer protect the wand and nozzle from being blocked up. 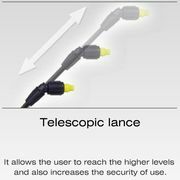 The extendable lance makes sure the operator is well away from any chemicals being used. It also gives the operator a greater reach. The high pressure pump means less pumps are required to use the sprayer reducing fatigue and allowing the operator to spray for longer periods of time. 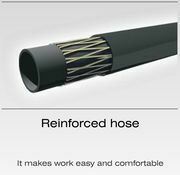 The high strength reinforced hose extended the life span of the sprayer making it stronger and more durable. The smooth riding wheels mean that there is no more carrying or strain on your back. 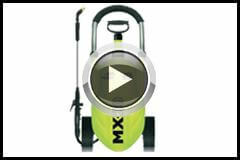 Simple pull the sprayer along with you to enjoy the ride!